When a woman becomes pregnant, she knows it is important to maintain a healthy lifestyle to ensure both the health of herself and the health of her baby. New clinical recommendations from the American Academy of Periodontology (AAP) and the European Federation of Periodontology (EFP) urge pregnant women to maintain periodontal health as well. Research has indicated that women with periodontal disease may be at risk of adverse pregnancy outcomes, such giving birth to a pre-term or low-birth weight baby, reports the AAP and EFP. 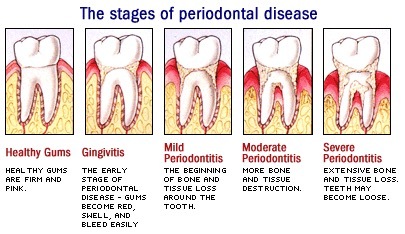 Periodontal disease is a chronic, bacteria-induced, inflammatory condition that attacks the gum tissue and in more severe cases, the bone supporting the teeth. 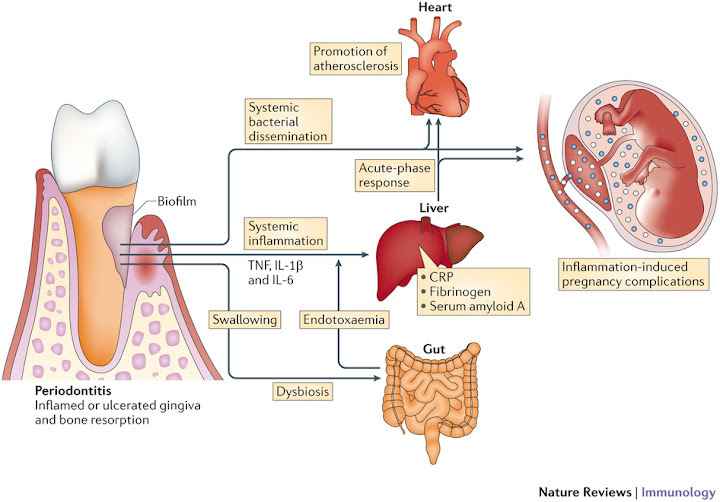 If left untreated, periodontal disease, also known as gum disease, can lead to tooth loss and has been associated with other systemic diseases, such as diabetes and cardiovascular disease. Several research studies have suggested that women with periodontal disease may be more likely to deliver babies prematurely or with low-birth weight than mothers with healthy gums. According to the Center for Disease Control and Prevention (CDC), babies with a birth weight of less than 5.5 pounds may be at risk of long-term health problems such as delayed motor skills, social growth, or learning disabilities. Similar complications are true for babies born at least three weeks earlier than its due date. Other issues associated with pre-term birth include respiratory problems, vision and hearing loss, or feeding and digestive problems. The medical and dental communities concur that maintaining periodontal health is an important part of a healthy pregnancy. The clinical recommendations released by the AAP and the EFP state that non-surgical periodontal therapy is safe for pregnant women, and can result in improved periodontal health. Published concurrently in the Journal of Periodontology and Journal of Clinical Periodontology, the report provides guidelines for both dental and medical professionals to use in diagnosing and treating periodontal disease in pregnant women. In addition, the American College of Obstetricians and Gynecologists recently released a statement encouraging pregnant women to sustain their oral health and recommended regular dental cleanings during pregnancy. “Routine brushing and flossing, and seeing a periodontist, dentist, or dental hygienist for a comprehensive periodontal evaluation during pregnancy may decrease the chance of adverse pregnancy complications,” says Dr. Newhouse. “It is important for expectant mothers to monitor their periodontal health and to have a conversation with their periodontist or dentist about the most appropriate care. 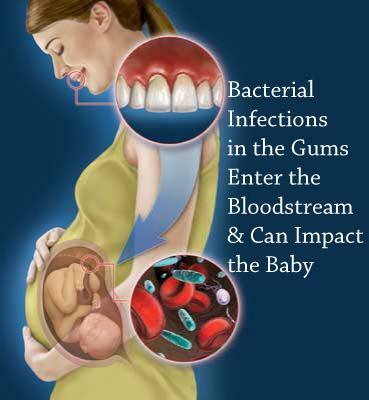 By maintaining your periodontal health, you are not only supporting your overall health, but also helping to ensure a safe pregnancy and a healthy baby,” says Dr. Newhouse.